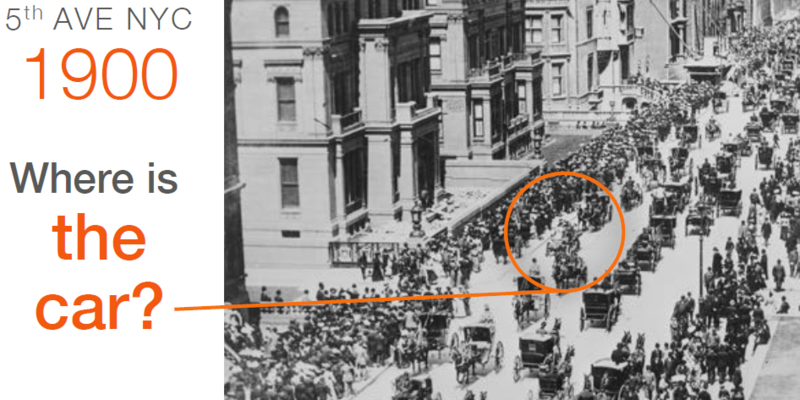 In the above image in 1900, we see that there is a single car out of many horse drawn carriages in New York City. Within thirteen years it transformed into one of many cars and one horse. Technology disruptions made this happen – and the evidence from the past several decades seems to show that battery pricing, electric car design, autonomous technologies and solar power are all about to hit their thirteen year strides. In a keynote speech given by Tony Seba in Oslo, Norway on March 17th, 2016 titled, “Why conventional energy and transportation will be obsolete by 2030,” we are shown clear data on real world changes regarding energy storage, solar power and autonomous vehicles. A lot of these changes have been predicted by others over the last decades – the individual that comes to my mind first is Ray Kurzweil. What Tony does however, is to show us how the predictions of futurists past are actually coming true – and more importantly – how a certain few of these technological advances intertwine in a certain fashion that push them all forward even faster. 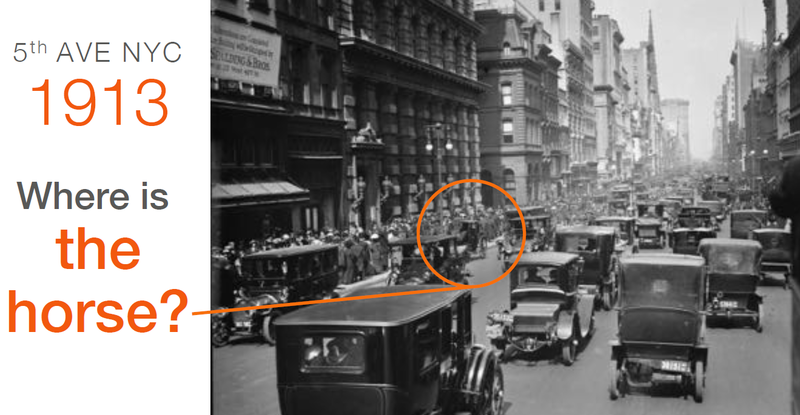 We start the conversation being reminded about horses and cars, and how it took 13 years to progress from a New York City full of horses to one full of cars. The key is the pace at which technology advances – cars were a new technology that were faster, cheaper, longer living and always followed directions. These benefits were so overwhelming that a technique of travel that humans had been using for millennia disappeared in a little over a decade. 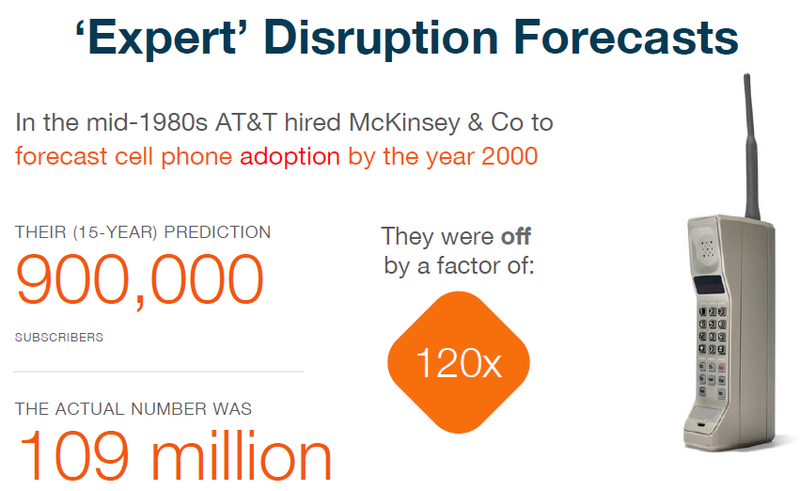 In the mid-1980s AT&T visited a premier global consulting group and asked – “How many people will be using cell phones in the United States by the year 2000?” McKinsey and Co. predicted that by the year 2000 – there would be 900,000 subscribers. They were off by 98.2%. AT&T missed a disruptive technology – and so did a highly paid consultant. When you’re wondering how the smartest people in the room can miss something so significant – we need to remind ourselves that technology evolves at rates that are exponential, not linear. Linear growth has a straight line, consistent uptake pattern – whereas exponential growth means, in the case of microprocessors, that the number of transistors within the same amount of space will DOUBLE every two years – with the line on a graph curving upward. 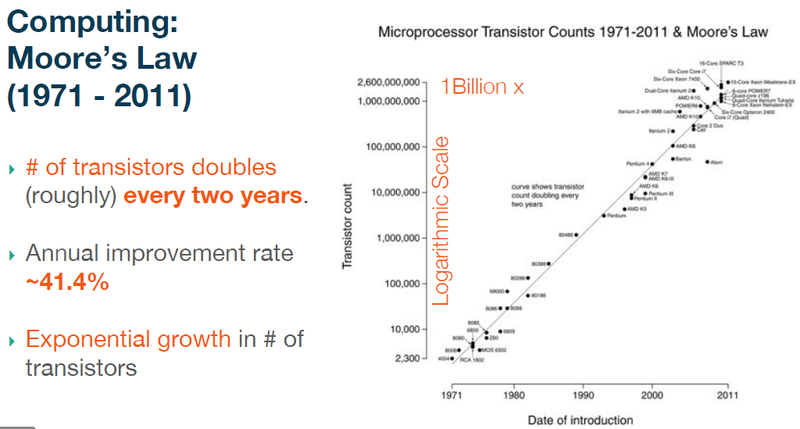 We know this pattern of exponential growth within microprocessors as “Moore’s Law.” Tony doesn’t want us to forget about it. After considering how quickly cars and microprocessors took over – the video shows us what is happening with Energy Storage technology. From around 1995 through 2010, energy storage costs had fallen by about 14% a year – a rate that means the price will halve in a little more than five years. In 2010 – that rate sped up to 16% a year, and while a 2% increase might seem small it actually means that instead of taking five+ years to halve – it would now take slightly less than four years, more than 20% faster. Tesla’s Gigafactory has now increased the rate of price decrease even faster than the 16%. It is estimated that the Gigafactory, by doing nothing more than moving all of the supply chain arms under a single roof, has decreased the price of battery packs by 30-50% – while doubling the global volume. Tesla’s success at selling $800M of battery kits has done something else – motivated competitors to step up their game. BYD, Foxconn, LG Chem, Nissan, Dyson, Apple, Samsung, etc have all made announcements with plans to build large scale battery factories. BYD’s plans are the most aggressive – a goal to add 6GWh of production per year, hitting 34GWh by 2020 (matching Tesla’s 35GWh capability). 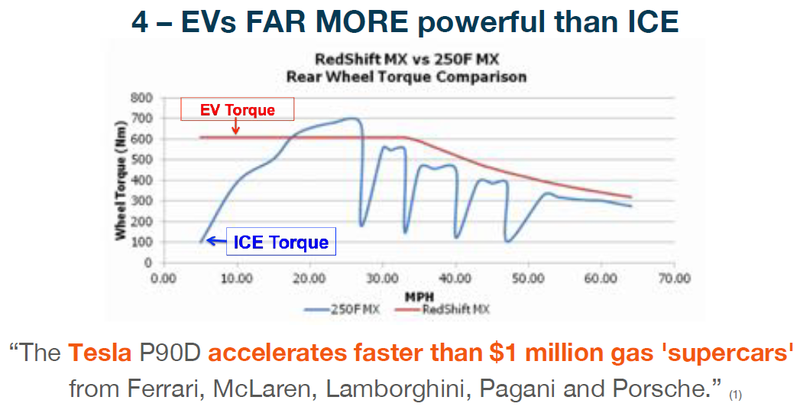 This manufacturing attention could accelerate the cost curve downward even faster. It was at this moment, that Tony said the most important datapoint in this presentation. By the year 2020, it will cost $1.20/day for an off grid home to purchase a full day’s worth of electricity storage. That means, a household – with solar panels attached – could completely disconnect itself from the powergrid for about $100/month (about the amount of money as two cups of coffee a day). The consequences of this are much farther reaching than a family wanting to live in the peace and quiet of the woods. EVs are 10X CHEAPER to fuel per mile. When combined with the fact that a gasoline car has 2,000+ moving parts versus 18 in a Tesla, we once again lower the cost of ownership since upkeep for 18 parts is 10-100 times cheaper to maintain. As we all know, the Tesla is FAST! It is as fast as $1 million track cars. What do you think a Porsche or Ferrari owner will feel when they’re smoked by a car that costs 1/2 to 1/10th theirs? They’re going to upgrade to electric. 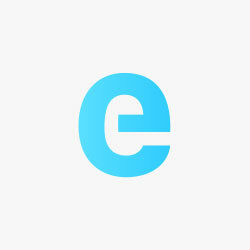 By 2022, Tony sees an EV with a 200 mile range costing around $20,000 – the average cost of a low end gas car in the USA. By 2025, gas cars will no longer be sold in the United States as a primary vehicle. We’ve already seen batteries in electric cars falling in price, we’ve seen that electric cars are far more efficient and better performing – but did you know that your car is parked 96% of the time? What if you pay even less for a car? If you could pay 1/10th what you do now for a car, would you? If you could pay 1/10th what you pay – and never have to worry about parking, down payments or car insurance, traffic and speeding tickets – would you? Of course you would – and according to the numbers – 57% of global consumers are ready to get rid of their car and trade it in for an autonomous electric car service (like Uber will be by 2020). 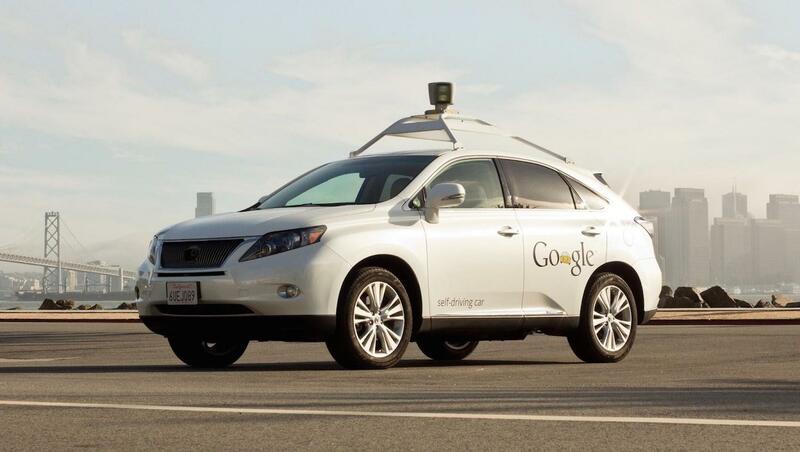 This is made possible because of leaps in the technology surrounding autonomous vehicles. The first leap that needed to occur for autonomous cars is computing – and Moore’s Law above has shown us a few decades of microprocessors moving forward. A more recent evolution comes in the form of LIDAR (Light Detection And Ranging). 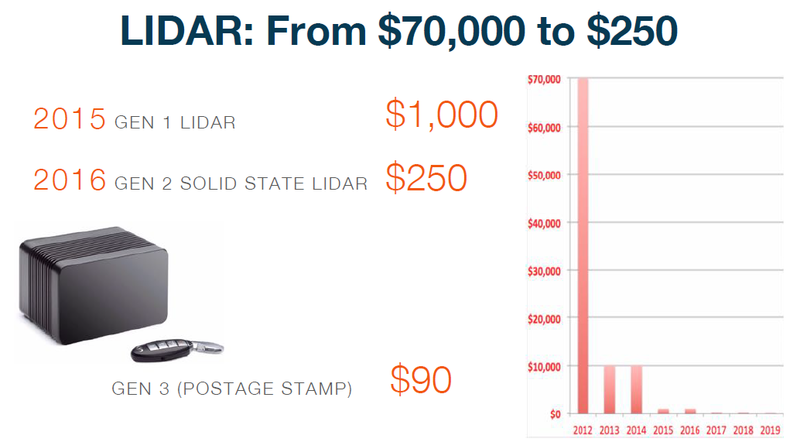 LIDAR is one of several technologies used to determine what things are surrounding the car – cats, people, other cars, etc. When Google first built their autonomous car in a Lexus (above image), the hardware on the roof – the LIDAR system – cost greater than $70,000. Obviously, a $70,000 add-on for an average person is not practical. Once again though – technological advancement has solved a problem as today that same hardware can be purchased for $250, and is expected to fall to $90 soon. A 99.8% price drop within six years. Up until this point in the presentation we’ve been shown a very clear progression in the vehicle revolution. We’ve seen battery prices collapse, electric car performance explode and autonomous technology become pennies on the dollar. It is a simple leap to make that the auto industry, and your life in transportation, is about to change. The last topic in this presentation might be the most important topic considering climate change: Solar Power. As a regular reader of this website, you’re quite familiar with the significant fall in price of solar power. 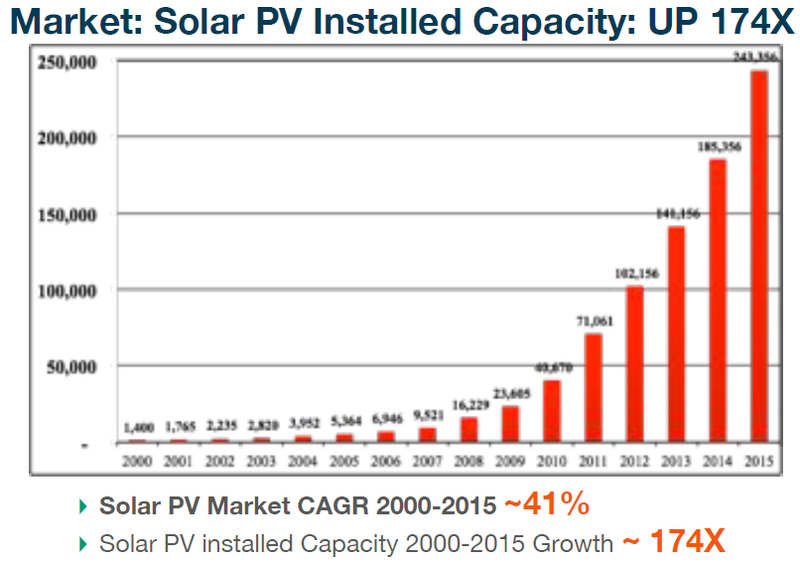 This price fall has led toward a pattern of growth very similar to microprocessors shrinking – globally installed solar capacity has doubled almost every two years since 2000 (in fact, as of the end of 2014 – we were ahead of the doubling pace). Solar power is making its move – however – can daytime only energy generation continue to grow at this same rate as it increases from less to 1% of global energy toward dominating the second largest industry on the planet? Tony’s position is Yes, Solar Power can come to dominate all of the world’s ENERGY (not just electricity) by the year 2030. 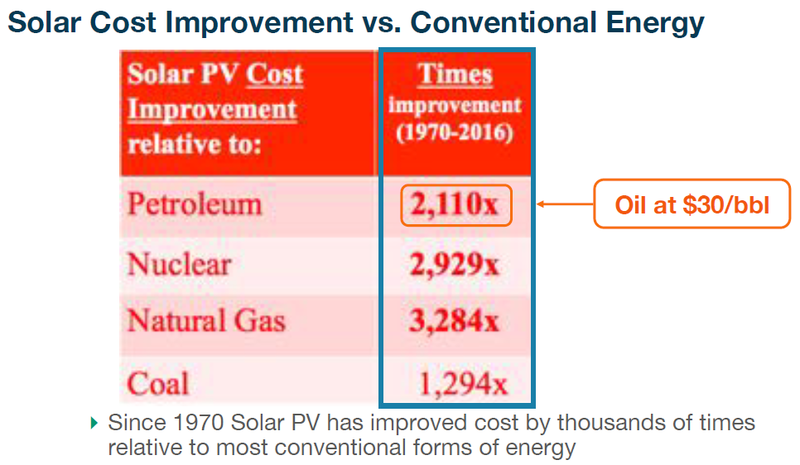 The main driver, beyond the environmental benefits, of solar power growth has been its price decrease – since the 1970s the price of a solar panel has fallen 99.3%. The price of electricity produced by solar power – without subsidies – has improved relative to oil, nuclear, gas and coal by 1,200 to greater than 3,200 times between 1970 and 2016. And this is before we consider the cost of pollution associated with oil, gas and coal. Something that falls in price so significantly is going to get more attention – and, as the charts above show, solar power has grown significantly. But solar power only works when the sun is up! Of course – but don’t forget that there are multiple disruptive technologies that are converging. Battery prices have slowly fallen, then electric cars started pushing those battery prices lower and the volume of batteries produced upward. 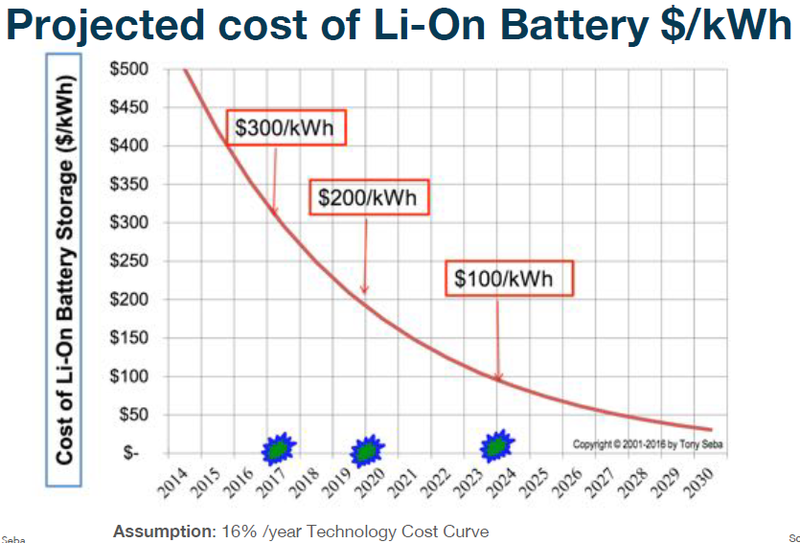 Suddenly – all that cheap solar power can be put in cheap batteries. And with that – we have autonomous electric cars powered by the sun. The message here is to prepare yourself. If you’re in the industry hold on tight, if you’re in an industry that is going to be affected by massive growth of competition then maybe you ought reconsider things – and if you’re just an average person watching, grab the popcorn. All images in this post come from PowerPoint presentation created by Tona Seba, and reproduced here with Tony’s explicit permission (I wrote him an email this weekend asking permission).